Collette Adkins is the carnivore conservation director at the Center For Biological Diversity, which is one of the groups on the petition. She said, unfortunately, education hasn't gone far enough. "It's [bear spray] just not being used routinely," she said. "We think a regulation is the only way to get hunters to the point where they recognize how important it is." Adkins said the petition is a reaction to a high number of grizzlies killed because of interactions with hunters. She said bears have started associating a gunshot with a gut pile. 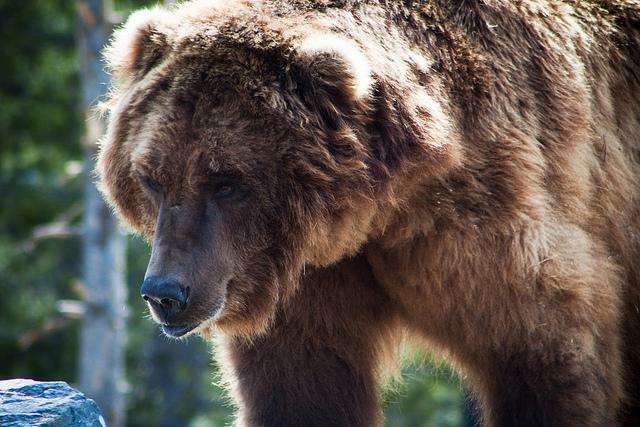 "It's definitely more risky because of that association that the grizzly has with the meat than with a hiker recreating in the area," said Adkins. Lee Livingston, an outfitter in Cody and a Park County commissioner, said requiring carrying bear spray and education are two different things. "Education would go further than requiring it," said Livingston. "But I don't believe that it's going to make a huge difference on the number of folks that are carrying it out there because I think it already is." He said most hunters already carry bear spray. Livingston said he requires his guides to carry plus recommends his clients to carry bear spray. Livingston said there's already a lot of education and protocol out there on how to use bear spray in a grizzly encounter but the Wyoming Outfitters and Guide Association wants to develop a protocol specific for guides. "The guide is responsible for that hunter so things may be done just a little bit differently for a serious grizzly encounter than if you were by yourself," said Livingston. He hopes to have the protocol out by next hunting season. Livingston said if there is a requirement, it shouldn't single out hunters but be required for anyone recreating in bear country.